A heartfelt collection of stories and memories told by members of the FGC. Greetings! I hope everyone has had a great 2018 so far. I apologize that I haven’t been as active with blog writing as I’d like. Despite the incident that happened to my home in January, I have also been working on a podcast for Dragon Ball FighterZ that has consumed a lot of my free time getting up and running. I appreciate the patience my loyal readers have had. And if you’re a new reader, hello there. This is a blog where we interview personalities and players in the NetherRealm competitive fighting scene in a series of 10 questions to show you a little bit more about who they are and what they bring to the table. This week I wanted to go back to the UK for this special edition back. PxP | AF0xyGrampa himself. Photo by Robert Paul. Denom Jones is one of the top players we have seen come from across yonder, but you probably know him by the name, AF0xyGrampa. Denom has always been a calm and collected guy when I’ve interacted with him. He’s always prepping as much as he can for tournaments and has traveled an insane amount in the last couple years. Going back to even MK9 when he played Rain, F0xy has always shown he is a determined player. I’ll never forget seeing him take ComboBreaker in 2016 with his Mileena, it was a big victory for the UK as well. 1. F0xy, thank you for joining us today, could you please start off by telling us a little about who you are, where you’re from, and how you started competing for fighting games? Hi mate no worries👌🏾. My name’s Denom Jones from the UK and I first started competing when I was 15. Originally it was in Halo, and eventually when I turned 19 (when MK9 came out) I ventured into the FGC. 2. Why Mortal Kombat? What got you into the series and what was a changing moment for you in your competitive career with this game? Mortal Kombat is a part of my holy trinity of series (MK, DBZ, MGS). So before I knew I wanted to compete in it, I knew I was gonna be hooked on it anyway. I’d been playing MK games since I was 4, or as early as I can remember on the Sega mega drive. I’m just drawn to the darkness of MK in game and in its lore. 3. What kind of stuff do you do in your spare time when you aren’t traveling for tournaments? When I’m not travelling to tournaments, if it’s the off season, I’m trying to do as minimal as possible. I’m mostly a hermit. At least this season, it’s a good break from traveling globally multiple times a month. I’m just chilled mostly, tournaments and travel have got me into a nocturnal sleeping pattern so I’ll keep up to date with a lot of the events from other scenes since I’m usually up so late, just as a spectator. Other than that I’ll either be on the turntables, at the studio or just taking out my girlfriend, Vonnie. I’ve become a simple man. Denom and his beautiful girlfriend, Vonnie. 4. How does it feel always traveling? Has there ever been a time where it has caused an issue you had to overcome in order to keep chasing success? The consistent travelling is something you can get used to, I’ve lost count of how many times I’ve flown back and forth from America in the last 3 years. I’ve come to accept that a plane is a mental prison for whatever duration you have to sit there. It’s cool and it was always a childhood dream of mine to be a pro gamer at some point. I am grateful. The time I questioned it most was before I went to the Eleague last chance qualifier. I’d placed throughout the year and knew I could possibly win the LCQ. But I had to decide if I wanted to spend the money and potentially come back completely at loss and completely empty handed. I had a chat with Vonnie, I basically said ‘I’ll be emo if I go and lose, but I’ll be more emo if I stay and don’t give myself the chance’ – to which she said, “Yeah just go.” She had given me some good guidance. F0xy in the center on a promo for ELeague along with players: ForeverKing, Dragon, and TekkenMaster. 5. What is the fighting game scene like where you are from? The fighting game scene in the UK is a good community, obviously not as big as the USA, but everybody seems to get along, and we’re all supportive of one another on our successes, regardless of which game they play, we seem to be tuned in to support our players. There are scenes all across the UK, the main ones I can think of would be Scotland, the north Manchester, the midlands Birmingham and the southern Londoner scene. Each with their own quirks. 6. What is your favorite tournament to date and why? My favorite tournament to date was probably EVO 2015, it was the biggest NRS event ever, year one of MKX, seemed like an electric atmosphere, the outcome was unknown, the hype, the game sounded crazy on EVO main stage too. It was just one of those tournaments where any player you met that weekend, you’d probably end up in some funny situation with them that would be memorable, such as cheap Eddie getting lost in America with Madzin, or Ketchup rage quitting the hotel over Kotal Kahn, eating out at all the weird and wild places in Vegas. Although typically EVO isn’t my top tournament of the year, 2015 was particularly memorable, despite how well Ketchup and I did that year, even if we hadn’t, I still think it’d be my favorite. 7. We’ve seen you notably have the U.K. flag on your back when competing? Is this a must for every time you compete like a good luck charm? What made you start doing this? I started wearing the flag at the Kombat Kup finals in Sweden 2015, 16 countries had 16 qualifiers, I lost the UK qualifier to Aixy but qualified in Sweden at the last chance event. When it came to the finals the bracket said UK had to play Sweden (Aixy vs I) so I got a flag, put it on the table and said, the winner plays for the right to continue in the bracket as the UK. I won and I kept the flag, it just reminds me of what I was saying earlier, all the people in the UK who I know support me, you can’t hear them across the ocean, so that’s my reminder of them. F0xy sporting the flag and throwing up his signature “cheeky” on stage. 8. Now we’ve all seen the cheeky. For those looking in on this, I’m sure they have also seen you do this in photos. Can you explain the origins of this and how it became a thing since it seems to be one of your signature poses in photos? The cheeky symbol 👌🏾, I can’t honestly remember what it came up in, I think it was something along the lines of OmegaK talking about going for a Cheeky Nando’s, (Nando’s is a food chain in the UK) then he threw up the sign next to a Nando’s sign or something. At least I think that’s where it came from (lol), kinda out of context whenever you use it I guess really. Ultimately it’s just PND banter. 9. What is one thing you’d like to see the community do more to grow? I don’t think there’s just one thing the community can do to help make itself grow, it depends on the region and the attitudes of the players in that region, geographical location too. Growth in America for example could be easier because everything’s all in the same country. But let’s say you try to develop EU, African, Arabian and Russian scenes for example, traveling isn’t always so simple. I think a lot of a games growth now is dependent on the developers. Genuine hype for a game will help a community grow, so if the community shows genuine love and passion for the game as well as the game being accessible to viewers and new players alike, the community would grow naturally. I guess my answer is, I think it just has to happen naturally and can’t be forced. 10. What tournaments do you plan to go to in 2018? What can we expect to see from you? In 2018 you’ll see me when or where ever they announce Pro Series 2 (fingers crossed). Any premier event on the hypothetical tour I should attend, also hoping to play some DBFZ at these events this year too. It was a pleasure to have F0xy join us for First to Ten’s comeback. I plan on having a new story now by every Friday (instead of previously Sunday since I have my podcast now that day)! I hope to see you all next week again and I am always looking for feedback on how we can appeal more or grow as a page for you all in the future. The NRS community means so much to me and I want to continue to help you all as much as I can get stories out there and grow. Thank you all so much, as always. And again, thank you Denom for joining us for this F2T. Posted and edited by Romanova. This entry was posted in Interviews and tagged AF0xyGrampa, competitive gaming, esl, eSports, gaming, injustice, Interviews, mortal kombat, PND, Professional Gamer, PXP, UK, United Kingdom, video games on March 9, 2018 by Romanova. NRS Community member AdSolo put together an all new website to stay up to date with all NRS game related news and info. Podcast spotlight: Check out Theo’s podcast on Thursday nights at 8PM eastern time as he takes on interviewing and talking Injustice 2. 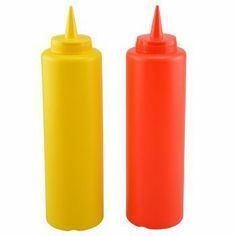 Ketchup and Mustard provide a competitive stream of first to ten matches on Wednesday nights. You don’t want to miss this.